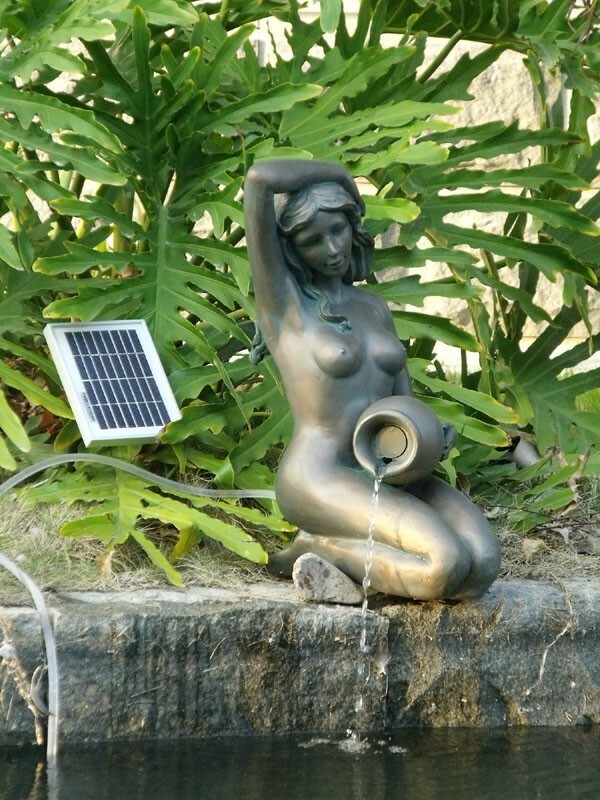 This bronze lady solar pond spitter statue will be a great addition to accent your backyard pond and will add the sound of running water to your favorite outdoor setting. This solar spitter is made of polyresin material; the definition and the intricate details of this piece are simply breathtaking, the bronze powder mixed in the cold resin in order to ensure a richer life-like sculpture. The hand-painted color accents and antique finishes further add to the depth and richness of the artwork. The bottom is furnished with felt for the protection of your solar water pump. 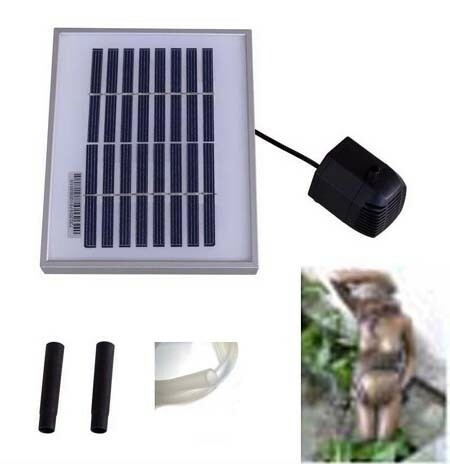 This 2 watt solar powered submersible water pump statue combo is a daytime running system only. Includes: 30" plastic tube hose, solar panel & support spike. Solar Module: 2.0 Watt multi-crystalline silicon solar cells (7.48" x 5.90" Solar Panel).